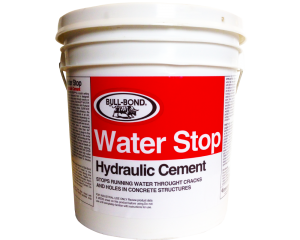 Water Stop™ is a fast-setting, hydraulic cement that stops the flow of water, even under pressure, through cracks and holes in concrete and masonry structures. This product is used to seal floor and wall joints, settlement cracks, cracks and holes on filled concrete tanks. Sets in 5 minutes. Elasto Seal Pro™ Elastomeric Roof Coating is a hydrophobic poly-acrylic, ultra-white cool roof coating. This product is formulated to seal, protect and waterproof roofs; the membrane’s exceptional 600% elongation delivers great crack bridging ability and durability. 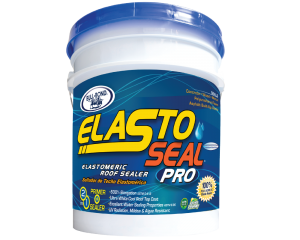 Elasto Seal Pro™ is resistant to mildew, fungus, algae growth and has strong adhesion to the substrate. The coating’s ultra-white finish provides reflectivity that redirects the sun’s heat and UV rays. As a result, Elasto Seal Pro™ cools the roof surface, reduces interior temperatures and energy costs. 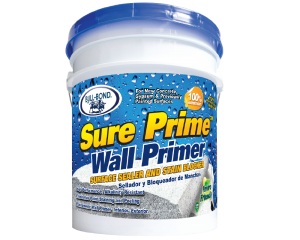 Sure Prime™ Wall Primer is a primer, sealer and stain blocker formulated to treat concrete surfaces before being painted. The product insures that the paint will have a good adherence, resistance to smoke stains, substrate alkalinity, mold, mildew and protection against moisture and increased durability. 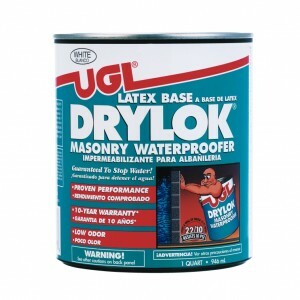 Latex Base DRYLOK® Masonry Waterproofer is a low odor, water clean-up formula for waterproofing all interior, exterior, above or below grade masonry walls, cinder and concrete blocks, stucco, brick, retaining walls, basements, and foundation. 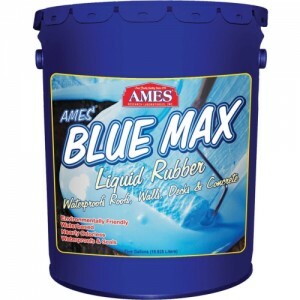 Ames® Blue Max® is a special blend of adhesive, high strength elastomeric liquid rubber. It is a new, impenetrable, rubber technology for waterproofing in extreme wet situations such as below grade foundations, basement walls, cisterns, water troughs, catch basins, ponds and fountains. 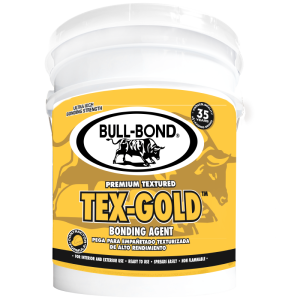 Tex-Gold™ Bonding Agent is our top quality plastering adhesive used to permanently bond plaster, concrete, stucco, cement mixes and mortars to structurally sound substrates. This is a moisture incentive bonding agent and it is also textured with a Quick-Grip technology that provides fast mechanical adhesion, additionally it contains combination of novel synthetic polymers that enhance plaster workability and consistently deliver maximum bonding strengths, in wet or dry conditions. Tex-Gold™ produces a water resistant bond film with no loss of its adhesive properties. Meets ASTM C-932 and ASTM C 1059 Type I.